Like so many things in life, though, there’s no one answer. It’s not cut and dry. In fact, there are a few factors that determine whether a college education is worth the money. Depending on how you approach your education, you can either see a great return on your investment, or you can lose out over time. For the most part, a college grad makes more money than a high school grad. 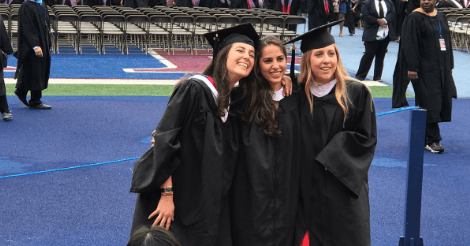 According to Douglas Webber, who teaches economics at Temple University, the typical college grad will earn about $900,000 more over their lifetime than a high school grad. Those earnings are nothing to sneeze at. Just going to college could potentially mean almost $1 million more for you than if you didn’t complete a degree program. On top of the financial gains, many students think college is worth it because it gives them a chance to build memories and learn skills. Attending university gives you the chance to forge lifelong connections — including building networks that can help you further in your career. Plus, learning how to learn can be valuable itself. Even if you don’t do work strictly related to your college degree, the skills and habits you learn during your time at university can be translated to other areas of your life. Don’t underestimate the intangible benefits of going to college, as well as acknowledging the financial and career possibilities. How to Decide: Is College Worth It? First of all, if you don’t finish your degree, there’s a chance that your college education won’t be worth the money. Webber found no advantage in having college experience without an accompanying degree. Additionally, the worth of your education might be reduced if you don’t finish within the allotted time. If it takes you longer to finish a four-year degree, you are missing out on time in the workforce. That opportunity cost can catch up with you down the road, reducing the value of your education. While Webber’s research found that the typical college grad comes out ahead to the tune of nearly $1 million, the reality is that the value of your degree, and whether college is worth it, also depends on what you pay. Among those who pay $50,000 a year for college, only about 56% of college grads will make at least $500,000 more than a typical high school graduate. That’s still better than having a high school degree, but you can see that paying a steep price for school erodes the value of your degree. What major did you choose? Another consideration is the major you choose. When you choose a STEM field or if you graduate with a business degree, there’s a higher chance that your degree will pay off in the long run. If you get an arts or humanities degree, you’re looking at 50/50 odds of a positive return on your education, assuming an average cost of attendance. So, even if you pay more for your degree in a STEM field, you might still come out ahead in the long run. However, if you end up with high education costs as a humanities student, there’s a reasonably high chance that college won’t pay off over time. When deciding how much to spend on school, education expert Mark Kantrowitz often suggests that your total debt upon graduation should be no more than your expected starting salary. So, if the average salary for your degree is $35,000 a year, you don’t want more than that in student loans when you finish four years of school. As a doctor or engineer, though, you have more leeway with this rule of thumb, since you can expect a higher starting salary. Bottom Line: Is College Worth It? As you consider your options after high school, pay attention to what you hope to get out of college. Don’t forget to factor in the cost of attending — and what you can get in scholarships. Free money can significantly reduce your cost to attend school, making the return on your education that much higher. Research colleges more generous with merit aid, apply for scholarships, consider your educational path, and plan ahead. With the right approach, you can get a great return on your educational investment — possibly even seeing a $1 million benefit over your lifetime.